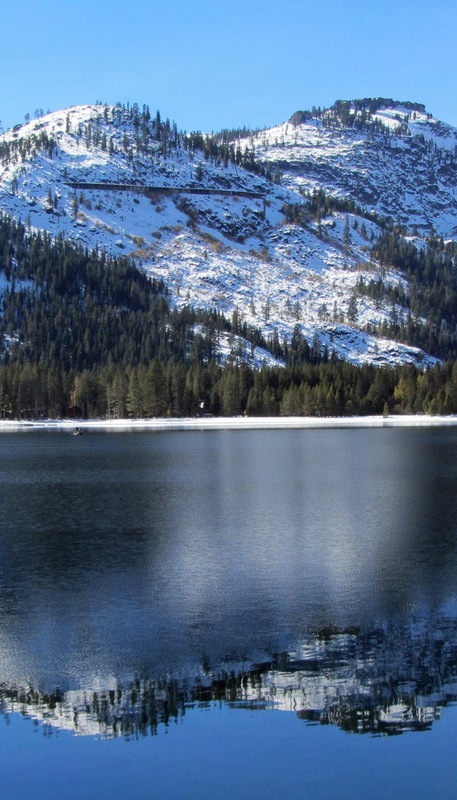 This Sunday will be the 36th running of the Turkey Trot run around Donner Lake. This is a great low-key race with pumpkin pies given for awards. The race has an early start for walkers at 9:30am, with runners starting at 10:30am. There is also a kids “Mashed potato mile” race that starts at 10:00am. The race is organized by the Auburn Ski Club Junior Nordic Team. Proceeds go to the Junior Nordic Team. The race starts and ends at the West-End Beach, Donner Lake. The event has experienced snowstorms, ice, and rain, as well as good weather. It has only been cancelled one time, and that was last year. The former Truckee Police Chief cancelled the event “Due to safety concerns of slippery roads”. A bunch of people showed up and ran anyway. You can register on-line or register on race day. Preregistration is just $15 dollars for adults, $25 race day.